What makes a good trade mark? Branding advice versus trade mark attorney advice. There’s lots of debate about what makes a good trade mark. And the answer is that it depends what you’re trying to achieve with it. And who you ask/who is asking! From a branding perspective a good trade mark will be memorable as the main thing. You also want it to be clear to your customers who you are, as well as being clear about what you do/offer. Most of all, you probably want it to stand out from the crowd. In addition, I know some people think that it’s a great compliment to a brand if it is used frequently, or becomes synonymous with your product or service. Who doesn’t say “I’ll Google it” when they actually mean “I’ll use an internet search engine to find that out”. Is also memorable and stands out from the crowd. Also you want to be unique in your business area. You don’t want to describe exactly what you do – so neither “Your Local Accountant” or “Get Mums Fit” would be considered a good trade mark from that point of view. Whether it can identify one business from another. That it doesn’t describe the goods/services offered. That it is not customary within the trade/industry. You also need to make sure that it doesn’t conflict with anyone else’s existing trade mark(s). These are all things to think about when choosing a name for your business or product range. 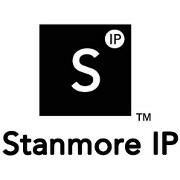 If you need any help with choosing a new name, rebranding, or protecting your existing trade mark, please get in touch. This entry was posted in Help & Advice and tagged brand, business, business advice, Trade mark, trade marks on 13th February 2017 by Stanners.